Earlier this week, the game celebrated hitting the 15 million-player milestone, continuing Ubisoft’s streak of multiplayer games growing over the course of their lifespan (Rainbow Six Siege hit the 35 million-player mark earlier this year). This bodes well for the game going into Marching Fire, the upcoming release of which prompted Ubisoft to host a livestream. 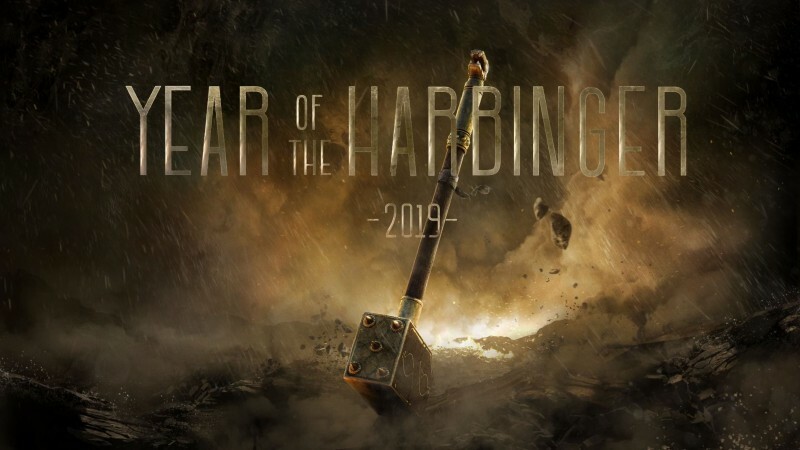 Towards the end of the that stream, however, it offered players a tease at was coming to For Honor after Marching Fire: The Year of the Harbinger. The image (above) shows a war hammer planted on firm ground. While thoughts of Mjolnir come to mind, the ornamentation doesn’t quite match Nordic designs (especially with the lizard/dragon on the hilt). It could be teasing a new faction, hero, or more.